Instant Pot Asian chicken is going to be my new go to recipe, especially for my Weight Watchers diet plan! 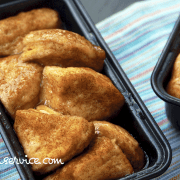 With chicken breast now being zero points on the FreeStyle plan, I’m always on the lookout for new, easy, and delicious chicken recipes to use in my Instant Pot. I want to give special thanks to one of my newest Instant Pot Weight Watchers Recipe member, Jeanne Sturges for this fabulous recipe! She gave me permission to share her photos and recipe with you all! Thank you a bunch for being so supportive! If you have a recipe that you’ve worked on, take some photos of your dish in decent lighting (doesn’t have to be all professional), and I will share it with everyone on my blog! Click Here to Join My Instant Pot Weight Watchers Recipe Group! What’s great is that this Instant Pot Asian Chicken recipe uses the slow cooker function and takes two hours cook. However, I made it and converted it to manual high pressure, so I will give you the directions for that as well. Just look at the Notes section of the recipe. Instant Pot Asian Chicken Weight Watchers Recipe is PERFECT Every Time! The Instant Pot Asian Chicken hits all of the right notes of the palate. I loved it so much, that I will totally be making this again. My nephews were a little jealous of what I was eating, so i had to share (of course I did, so I can keep the “Favorite Uncle” title of the family lol). You can serve this with veggies and brown rice, in pita pockets, or just on it’s own. I ate it on it’s own, but I did add shredded carrots to it like Jeanne suggested. to I hope you enjoy this recipe for as much as my family, and my Weight Watchers diet, enjoyed it! This is Instant Pot Asian Chicken recipe is just perfect your WW meal and easy point tracking! Put chicken in bottom on instant pot liner. Mix soy sauce, chicken broth, hoisin sauce, honey, garlic, ginger,chili-garlic sauce together and pour over chicken. Cook on slow cooker setting (venting left open) on high for 2 hours or low for 4 hours. (she did hers on high for 2 hours). Remove chicken, place on board and shred with forks. Mix the cornstarch with 2T water. 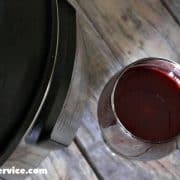 Pour remaining pot juices into a small saucepan, add in the cornstarch mixture and bring to a gentle boil for a few minutes until it thickens. Put shredded chicken in a mixing bowl and add warm sauce, stir. Makes four 4-ounce servings. I put 2 oz. of chicken into each half of a pita pocket, added some chopped lettuce, shredded carrot and the green onion. Place chicken in IP liner and add 1 1/2 cups water. Lock lid in place, close vent for pressure, and cook on High Manual pressure for 10 minutes and let NPR. Remove chicken and place on a cutting board. Shredded your chicken with forks and place shredded chicken to the side. Reserve a 1/4 cup of the liquid from the chicken and ditch the rest. You will use this liquid instead of the 2 teaspoons of water. Put the liner back inside your IP put on sauté function, and add: soy sauce, honey, hoisin sauce, garlic, ginger, and chili-garlic sauce. Mix well. While waiting for this to start simmering, take the 1/4 cup of liquid form your chicken and mix cornstarch in it. Mix in the IP with your other ingredients. Stir all ingredients with a whisk to ensure ingredients are well mixed together. Once the liquid starts to thicken, you're all done! Turn off your IP, and add your shredded chicken to it. Mix well to evenly coat your chicken, and you're good to go! Super simple and easy. This was definitely a five star recipe and was delish! Even cold the next day, the leftovers were great. I’m curious if you could double the recipe? 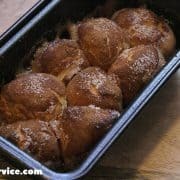 Just came across this recipe. I stink at sides-how would you serve this? I love adding some stir fried veggies or cauliflower rice with it!